Power grid crisis: Japanese data centers hit again? It looks like the feared scenario of last year, that all of Japan’s nuclear power plants would be offline within about one year, is becoming true. Currently only two of 54 reactors are still operating. Tokyo Electric’s last active reactor is set to go into maintenance on March 26, while Hokkaido Electric’s Tomari No. 3 unit is scheduled to be closed for routine checks in late April or early May. The reactors need to meet new safety checks and No reactor can restart until it passes computer-simulated “stress tests” to confirm it can withstand earthquakes and tsunamis on the scale that wrecked Tepco’s Fukushima Daiichi plant. Then cabinet ministers need to sign off and local governments, by custom although not by law, need to agree. “A tight supply-demand balance (of electricity) does not affect our judgment on nuclear safety and we are in the process of making that judgment,” Trade Minister Yukio Edano, who holds the energy portfolio, told parliament. The prospect of being without nuclear power has raised fears of another year with forced power rationing and temporary blackouts in the summer, when air conditioning puts extra strains on supply. It is estimated that the nationwide power supply could fall 7 percent below demand if no reactors are online. Since it is difficult to raise overall supply capacity drastically in the coming months, the government is asking power utilities to come up with a variety of pricing incentives to encourage large users to reduce peak-hour demand, a trade ministry official said. Japan is shifting its energy mix. 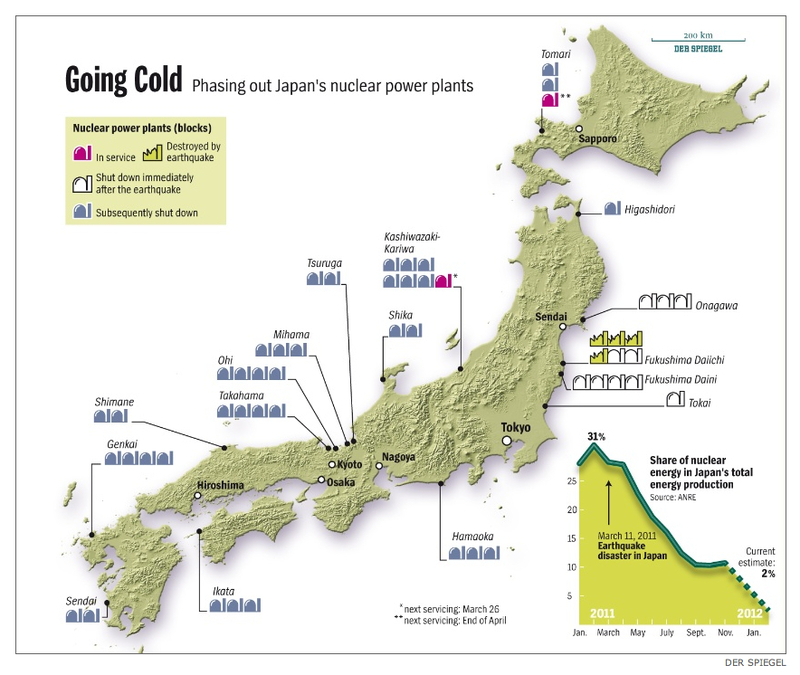 Nuclear power previously accounting for 30% of Japan’s power output. Japanese utilities now have ramped up imports and use of coal, oil, and natural gas, while industrial consumers have been more reliant on diesel generators to guarantee reliable energy supply. The shutdown of nearly all nuclear reactors has forced energy providers to reopen decommissioned oil and gas power plants. 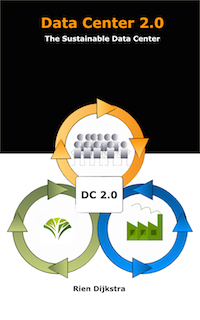 Some companies are running their plants partly with their own generators. Overall it is still difficult to meet demand. Kansai Electric Power Co., which has shut down all the nuclear reactors under its jurisdiction, had difficulties supplying enough power to meet demand. The utility was forced to crank up its remaining power plants, including obsolete thermal power stations, to maximum output to meet winter demand. Also malfunctions due to aging were frequently reported at such power stations. More than 10 plants across Japan had to be quickly shut down due to emergencies this winter. The trouble at the Shin-Oita thermal power plant of Kyushu Electric Power Co. had a particularly serious impact. The utility barely managed to avoid implementing blackouts in its service area by hooking up to power supplies from five electric utilities in western Japan and Tepco. Imports of liquefied natural gas (LNG) by Japan’s 10 regional utilities have increased 39 percent in January, relative to the year prior, while imports of fuel oil and crude oil both nearly tripled. This gives is a growing concern over whether Japan can ensure a stable supply of the fuel. While the country has a 200-day crude oil reserve, it has only enough LNG for two to three weeks of power generation. As a result of soaring power generation costs, Tepco will raise its electricity charges from April. If the dependence on thermal power generation continues, other electric utilities could very likely follow suit. 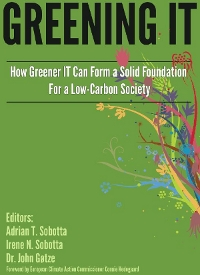 The current energy crisis has also an profound effect on the carbon emission. Japan, the world’s fifth-largest carbon emitter, is backtracking on the introduction of a carbon price. A move by the Japanese government to put a price on carbon at this point would be economically and politically impossible in Japan today, according to senior Japanese foreign affairs officials in Tokyo. The commitment made earlier with the election of the prime minister in 2009 to reduce emissions by 25 per cent is no longer realistic. Last year summer all facilities that consume more than 500kWh were ordered to reduce their peak power usage by 15 percent from a year earlier. 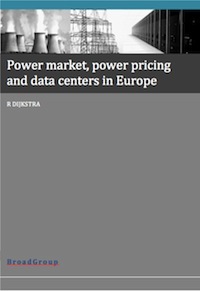 Data centers operators have fought the cap and the idea of rolling blackouts with some success. It is still uncertain if the Japan Data Center Council (JDCC) will be as successful as last year. What is certain is that much pressure will be put on data centers in trying to find ways to cope with long-term power shortages and the price hikes that result.